* What happens if there's an accident? * Who's responsible for what insurance? * Who's responsible for service and maintenance? 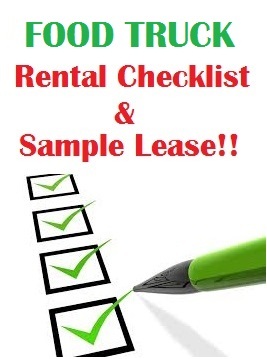 Our Checklist & Sample Rental Agreement were both drafted by a law firm with extensive experience in food trucks. 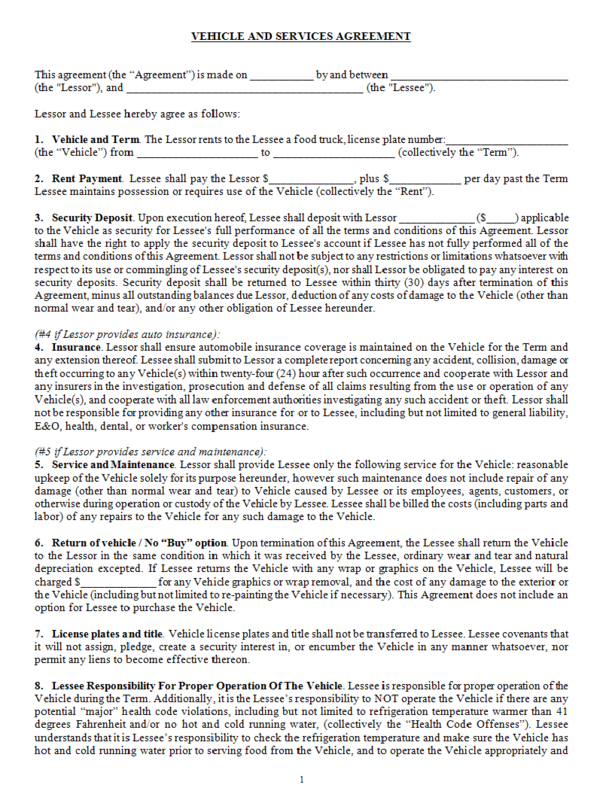 This Rental Agreement has been used in 100's of actual food truck rentals. You will receive the Sample Rental Agreement in Microsoft Word format, so you can make changes and adjustments to it.